Charlottesville Audio Visual Services of central Virginia has installed many AV systems in churches and houses of worship. 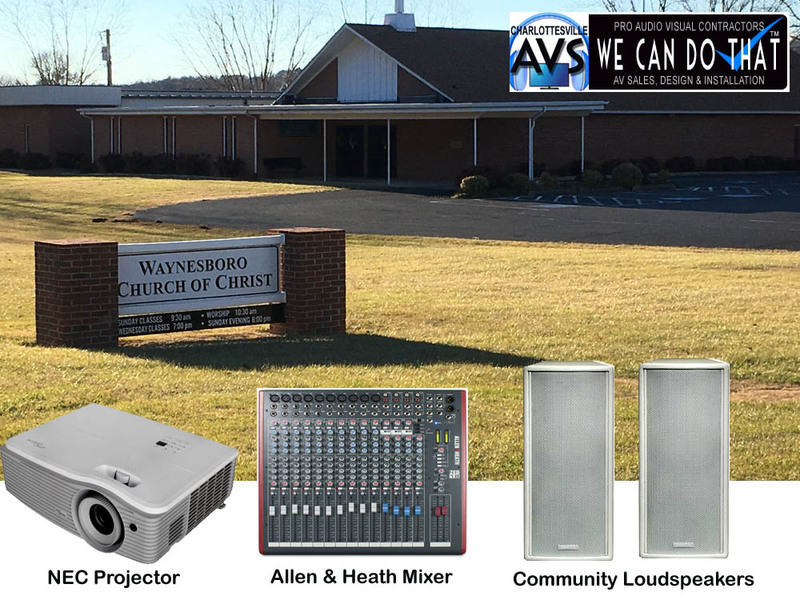 We recently helped The Waynesboro Church of Christ with a whole new church wide AV system. They hired us to clean up their av booth wiring mess. We removed old broken gear. Cleaned up wires, Replaced new wires. Added a new projector, mixing board, PA speakers, amplifiers, processor and microphones and more. 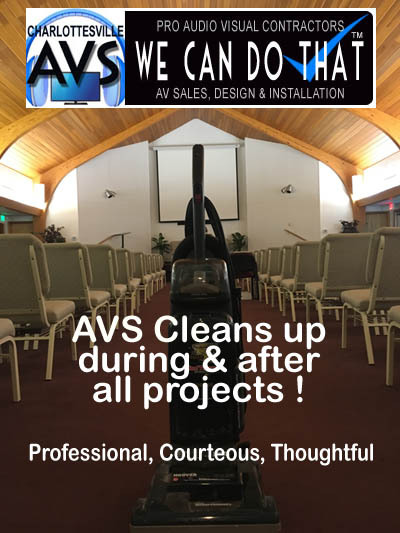 AVS made it super easy for The Waynesboro Church of Christ: AVS sold them all the equipment and delivered it. AVS installed everything and made it elegant and simple to operate. AVS trained their AV team how to operate everything. ALL- in about 4 days. The process of upgrading or improving your audio visual system for your church begins with a phone call. 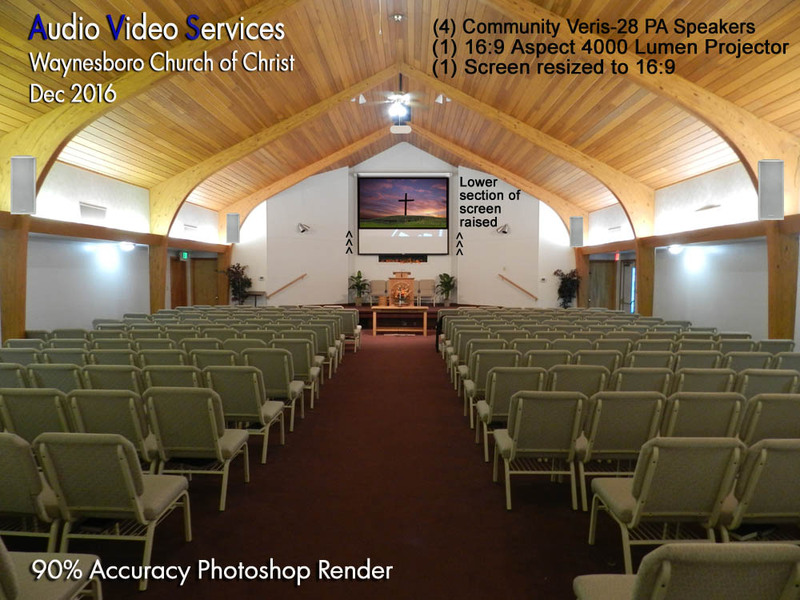 AVS will come out to assess your church’s AV needs, listen, take notes, take pictures and gather all the data we need to provide your church with an accurate quote- (NOT too much and not too little) that perfectly fits your needs and budget. Give us about a week and then we’ll send you a quote. Sometimes we’ll include Photoshop render (like the one below) which you can show to your church’s board or deacons. This is a really simple way to convey to your church what you’ll be purchasing AND what it will look like after its installed. After contracts are signed and a materials deposit is made, AVS will schedule to come do the work. 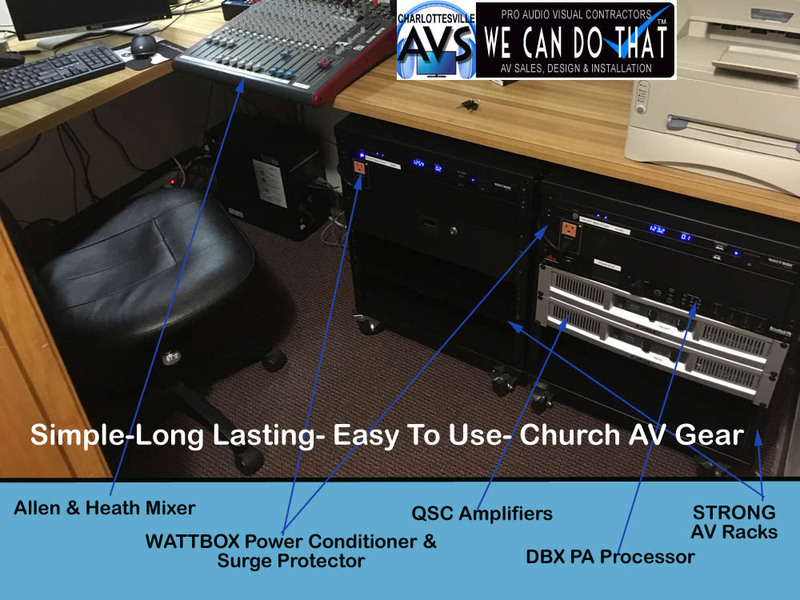 Most church av systems AVS installs take less than 5 days. The Waynesboro Church of Christ AV job took about 3.5 days. All of our jobs include calibration and integration of all new equipment, training, and clean up !!!. (Like below) And of course if your church ever has any questions about anything after the installation you can call us anytime. We’re here for you for the long haul. 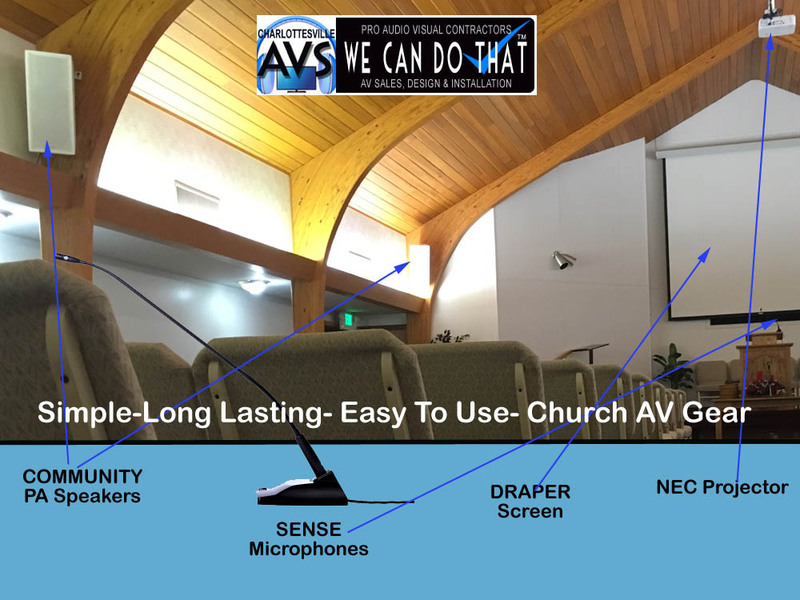 AVS hopes this helps you to get a better understanding of how to improve or add to your church’s AV system….. AND- we can do ALL of it for you.